R & R Identification is a self contained production company and has been manufacturing safety identification products for the industry since 1985. We have no outside sales force nor do we advertise, we rely on our reputation in the industry to speak for us. We started on a shoe string and through perseverance and hard work have built a company with pride and integrity. Our goals have been to produce quality products, while keeping our overhead down to allow our customers to submit the lowest bids, deliver our products in a timely manner and always strive to produce new products to keep up with the growing changes in the industry. We are a owner operator/manufacturing company, which means, we are all hands on. Owners and employees have always worked side by side participating in the manufacturing process. 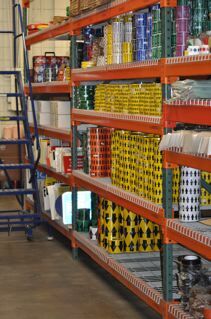 Everyone that works for R & R has the knowledge needed to help our customers meet all there safety identification needs.